Use the phone number of your loved ones and chat with them worldwide for free without spending a single penny. This can be possible when you download and install Bubbles app developed by ToXSL Technologies. 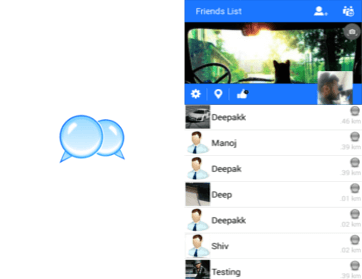 Bubble is chat application for Android and iOS in which anyone can chat individual or in group, can create question, can answer of question and can vote for question. This is very useful for Now-a-days to save our time to get solution of our question and to connect people.